It's only this year that Brad Pitt seems to have a half-decent shot at winning the Best Actor Oscar, thanks to his natural and starpower-fueled role in Moneyball. But it's just one of a string of great performances he's given in recent years, not least of them his role in The Assassination of Jesse James by the Coward Robert Ford, a moody and gorgeous revisionist Western that got little Oscar buzz for Pitt, but proved how good he is at playing a famous, notorious man with the weight of the world on his shoulders. Pitt is reuniting with his Jesse James director Andrew Dominik for his next film, Cogan's Trade, and The Film Stage has dug up the first look images from the film, which also stars Ray Liotta, Richard Jenkins and James Gandolfini. 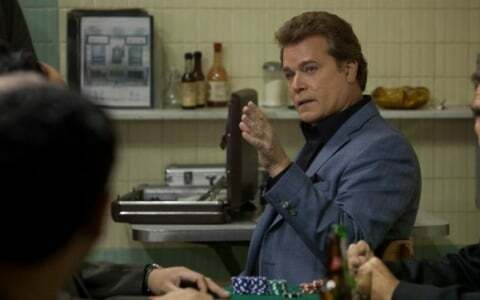 Pitt's hair is the real stunner in these shots, but Liotta's looking pretty nutty himself, so check out those two plus Richard Jenkins in three of the images below. 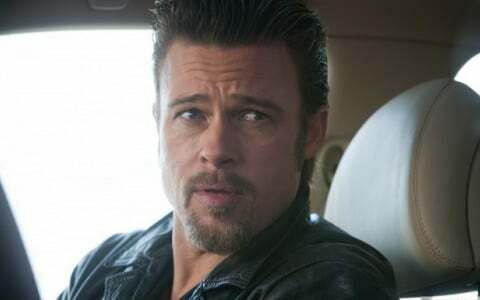 That's a fierce mullet Pitt has going on, but it suits the milieu of the film, in which a "progressional enforcer" investigates a heist that happened to take place during a poker game run by the mob. The dark subject matter isn't too far from the train robbers that Dominik explored in Jesse James but this movie appears far grimier and, of course, more modern. Without the spectacular outdoor cinematography from Roger Deakins, Dominik may be making a completely different kind of film, which is exciting to see from a filmmaker only making his third film. Cogan's Trade comes to theaters late this year; let us know if these images make you as excited about it as we've been.